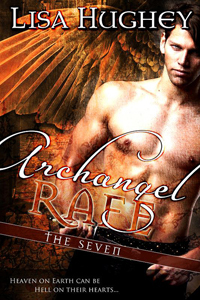 Pens Fatales: Lisa's new book Archangel Rafe (A Novel of The Seven) is out now! I'm half-way through the novel. It's a ton of fun, but the formatting glitches (on Kindle for iPad) are driving me crazy.